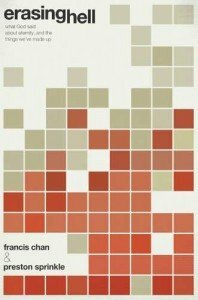 Erasing Hell was a terrible book and I really like Francis Chan. It felt like he was still struggling with his belief and the ideas were more from Sprinkle than Chan. I would recommend people read Love Wins and Erasing Hell. Then, they should study the Scriptures for themselves.